San Francisco -- With the 1849 gold rush would come the Swedes to the Bay Area establishing churches, societies, clubs, lodges, leagues & newspapers! Again, to request what you desire on the Contact Form, press "ctrl end" to go there. For those who wish to learn more about some of the Swedish enclaves of the past and of today in America, go ﻿HERE﻿, to "Other Settlements and Cities." With the early immigration of the Swedes to the San Francisco Bay Area during the gold rush beginning in 1849 would eventually come the establishment of their societies, lodges, patriotic leagues, clubs, churches, Swedish language newspapers, and the Swedish Consular Corps. 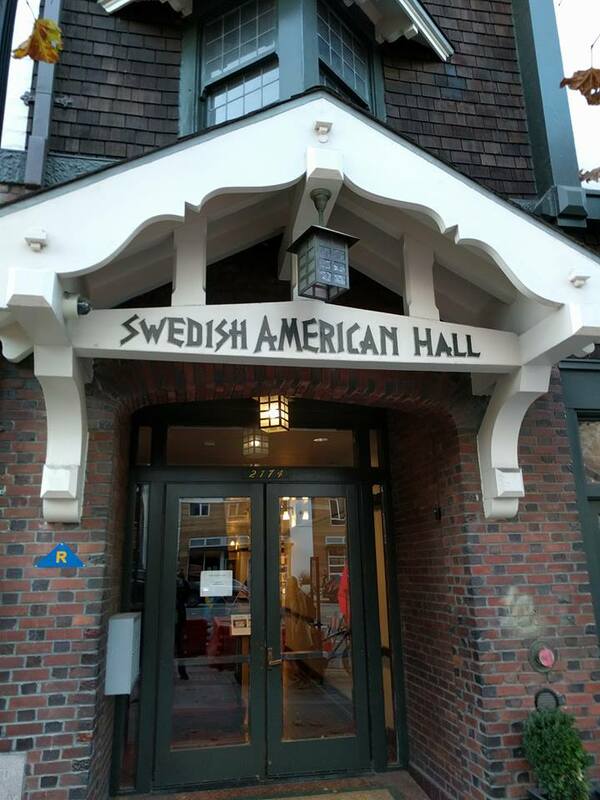 One such "society" was and is the Swedish Society established in 1876 that owns the Swedish American Hall which houses the Library and Archives of the San Francisco Bay Area Swedes resulting in the organization of a small museum. One such "league" was and is the Swedish American Patriotic League established in 1894, consisting of 10 organizations in 1895. It was formed initially to "continue the efforts of the committee which produced the first Swedish midsummer at the Midwinter Fair held in Golden Gate Park on Monday, May 14, 1894. "* Since that time, 125 years later, the Swedish Midsummer Festival has continued. It is held at Sveadal near Morgan Hill. This link HERE takes you to the 2018 Midsummer festival, one of four most recent festivals. To learn more about the history and purposes of the League and Sveadal, go HERE. One such "club" was and is the Swedish Club of San Francisco and the Bay Area founded in 1913 by Dr. A. O. Lindström and a group of Swedish businessmen. "The Swedish Club of San Francisco and the Bay Area represents an ideal blend of a 'Little Sweden' in America." ** Its initial purpose was to offer help to visiting businessmen from Sweden, to entertain and assist them during their stay. This was to strengthen the relationships between Sweden and America, to then open up business possibilities in either directions, and finally to promote and enhance Swedish culture in the new land of America. This Sweden American business relationship continues to this day as found HERE in the Swedish-American Chamber of Commerce of San Francisco and Silicon Valley. For more on the Swedish Club, go HERE. One such "church" is today the Svenska Kyrkan-Church of Sweden San Francisco. 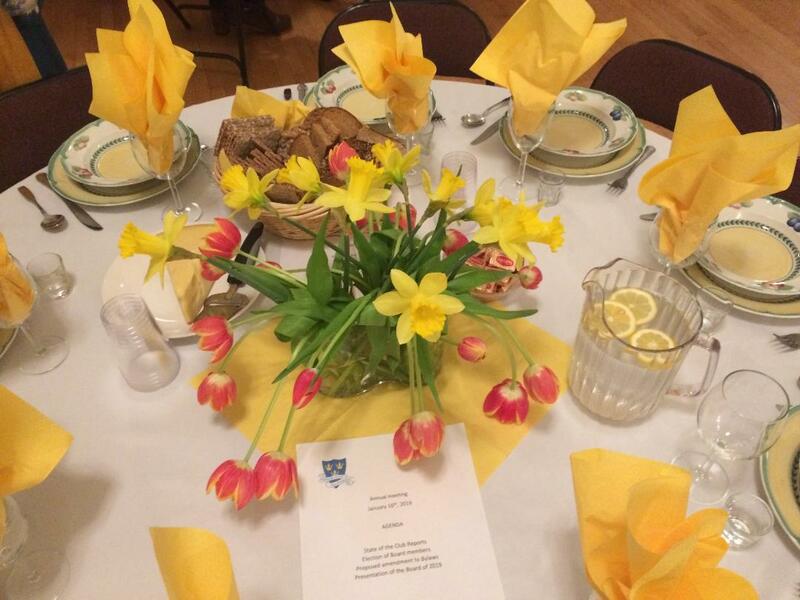 Located at the Norwegian Seaman's Church, the Church of Sweden is "a home away from home" for the Swedish community in the San Francisco Bay Area as it provides a place for Swedish church services, meetings, fun gatherings, celebrations and more. For additional information, go HERE. For the very interesting history of the Church of Sweden, go HERE. It is a lovely shared space for the Swedes, Norwegians and Danes of San Francisco. Note the same Nordic Cross design is used as part of the flags representing Christianity in all three of these Scandinavian countries. Another more recent organization in San Francisco is the Swedish Women's Educational Association (SWEA). It is an international organization, founded in 1979 in Los Angeles by Agneta Nilsson. SWEA is a GLOBAL NETWORK with 7,000 Swedish speaking women in more than 70 chapters in over 30 countries. Here, as shown below in 2009, is its annual Christmas Fair at Saint Mary's Cathedral. To learn more, go HERE.